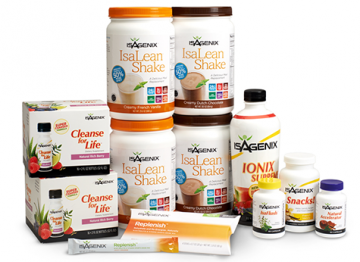 The Isagenix Customer First Program gives you more choices, more discounts, more rewards, and fewer hassles and fees than ever before when ordering Isagenix products. You can join Isagenix as a Customer or Preferred Customer and enjoy Isagenix products at a discount instead of paying the full retail price on products. "I was reluctant to join as a member. It turned out to be a great decision! Thank you for guiding me in the right direction." "Isagenix makes me feel great, and I have actually been saving on my grocery bill each month by having a shake for breakfast each morning. It's been a win/win for me." "I just returned from a trip where I didn't bring any IsaLean Shakes. Wow! Big mistake! The trip was great but I'm glad to have my shakes again." "The support I have received from the Isagenix community has been...unbelievable. I could not have made these changes without you all. Thank you! "